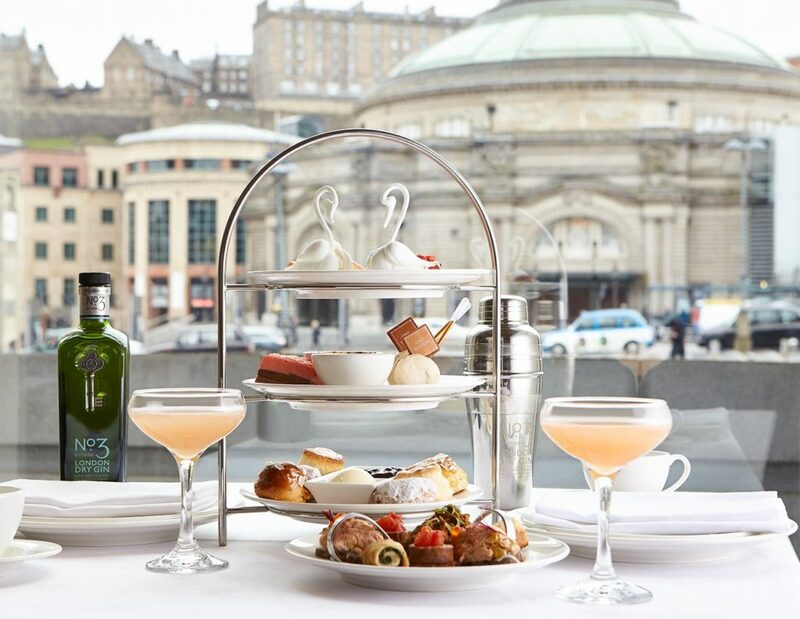 Afternoon tea at the Sheraton Hotel in Edinburgh is the perfect spot to sit back and unwind with friends whilst enjoying the impressive spectacle of Edinburgh Castle rising above the city. With sumptuous armchairs and luxurious surrounds, one Square at the Sheraton is the ideal location for a girls afternoon on the town. 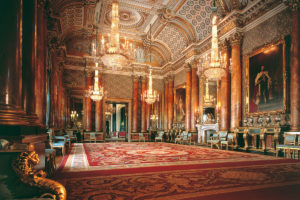 This is undoubtedly one of Edinburgh’s most stylish venues. Situated a short walk from the beautiful Princes Street Gardens and the vibrant shops of Princes Street, it’s an ideal spot for a relaxing afternoon break. Floor to ceiling windows open out on to a welcoming terrace and in warmer weather afternoon tea can be enjoyed alfresco – fresh, clean throws are placed on outdoor chairs to act as welcoming blankets of warmth should the temperature drop. 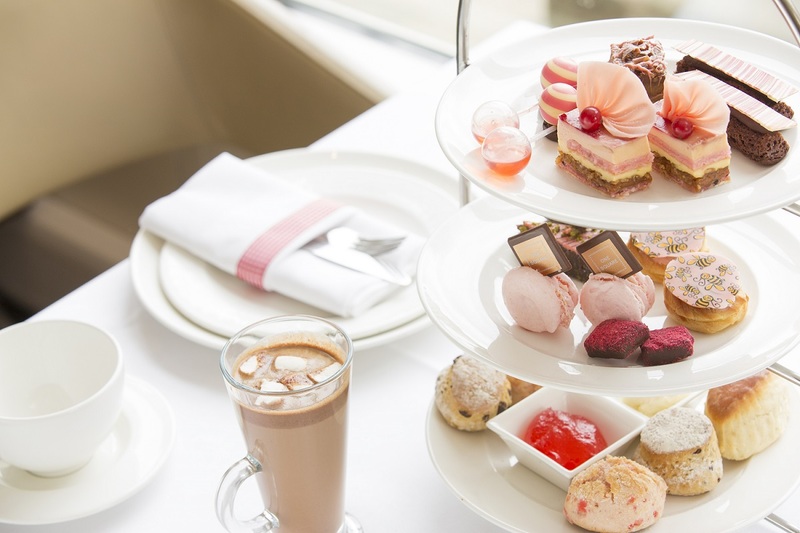 The afternoon tea menu reflects the season’s finest produce and delicate finger sandwiches are served with freshly baked scones and tempting cakes and pastries. As members of the acclaimed Tea Guild an exciting variety of enveloped or loose leafed teas are available to choose from. 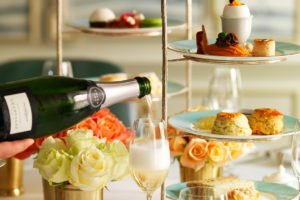 A glass of champagne or a gin cocktail will add a decadent touch to your afternoon tea. (Gin fans might like to note that the Edinburgh Gin Distillery is only a short walk away so why not make an appointment to pop in for a tour or a guided tasting. There’s also a handy little gift shop to buy your favourite gin – well worth a visit). 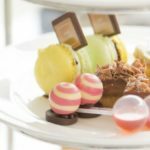 Afternoon Tea at the Sheraton Hotel, Autumn 2017. Chocs away. 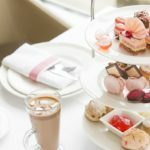 Once again, the Sheraton Hotel has created a gorgeous afternoon tea and this Autumn with a Chocolate Tree Afternoon Tea. 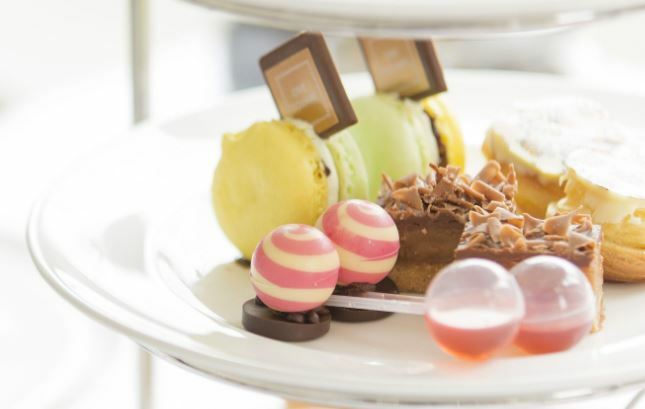 They have teamed up with their talented friends at Chocolate Tree to create this truly indulgent Afternoon Tea. Made right here in Edinburgh, Chocolate Tree’s chocolate is organic, hand-crafted from bean to bar, and absolutely delicious! 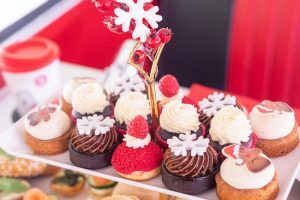 With a tempting array of savouries, scones made with love and a sumptuous selection of chocolate infused treats, this fternoon Tea is sure to provide more than a few melt-in-the-mouth moments. Perfectly paired with one of our many enveloped or loose-leaf teas, traditionally prepared at your table. Enjoy a complimentary glass of Rosé Prosecco as we turn our Afternoon Tea pink for October which is Breast Cancer Awareness Month! We will be making a donation to Cancer Research for every Afternoon Tea sold. 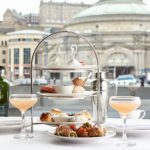 Afternoon tea in Edinburgh at One Square is an experience to savour and their exquisite menu changes regularly. Why not sign up to our newsletter and we shall keep you up to date with their latest mouthwatering menu. 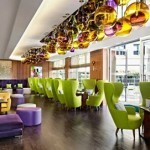 Book afternoon tea at the Sheraton Hotel, Edinburgh. An exceedingly popular venue, it’s well worth booking in advance. To do so, simply click the Book Now button and secure your reservation via our partners at Bookatable. 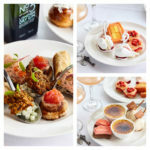 Still undecided where to go for afternoon tea? 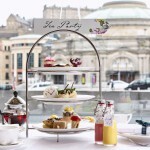 Why not browse some of other beautiful venues for afternoon tea in Edinburgh . . . 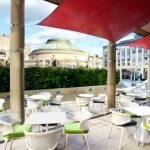 Afternoon Tea Edinburgh: One Square Restaurant at the Sheraton is a 5 star venue for a 5 star dining experience.